This topic contains 13 replies, has 5 voices, and was last updated by AdamWess 2 months, 2 weeks ago. 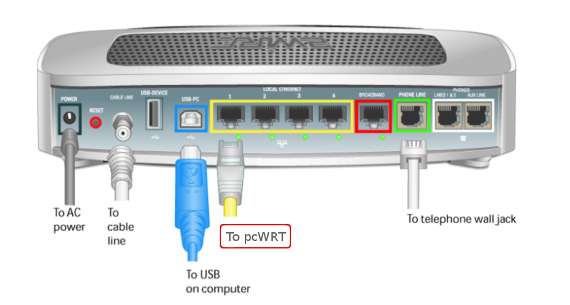 If you have an AT&T 2Wire gateway at home, follow these steps to connect the pcWRT router. Get out your Ethernet cable. 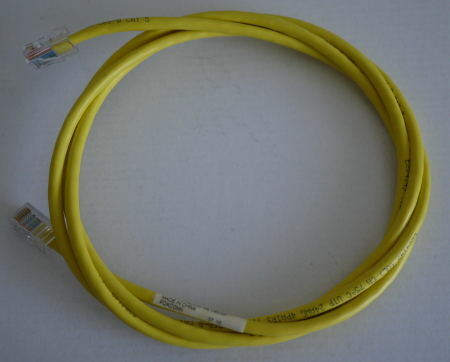 Connect one end to a LAN port on the AT&T 2Wire gateway. Connect the other end to the WAN port on the pcWRT router. Connect the power adapter cable then power on the pcWRT router. Follow the initial setup instructions to set up pcWRT. Notice that at this point you have two options to set up wifi. If you keep the AT&T 2Wire wifi running, you’ll have two wifi signals in your home: one from AT&T 2Wire, one from pcWRT. Alternatively, you can shutdown the AT&T 2Wire wifi signal, keeping only the pcWRT wifi. Our recommendation is to configure the pcWRT wifi such that it’ll have the same SSID and wifi password as your AT&T 2Wire gateway, then turn off the wifi signal on the AT&T 2Wire gateway. This way, you don’t have to reconfigure all your home devices that connect to your home wifi. 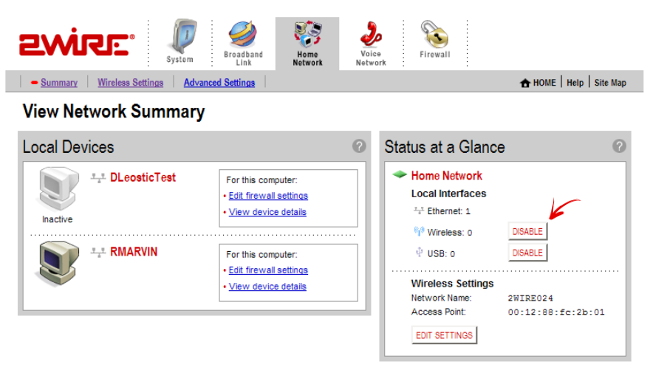 Click the Home Network tab. Under Status at a Glance, click the DISABLE button, then confirm. Last note, in case your PC or device refuse to connect to the new wifi network, you need to forget the saved settings and start afresh. Here’s how to do it on Windows 7: How to forget a wifi network on Windows 7, or Windows 8. @hodermann When the router is fully powered up, two lights should be on: SYS and WLAN. Do you see both lights on? So WLAN is solid green, SYS is flashing red? 1. Disconnect all cables from pcWRT, including the power cable. The router should be off. Wait for a minute or two. 2. Connect ONLY the power cable. Router will boot up. Wait for about two minutes. Do you still see WLAN solid green, SYS flashing red? 1. You should be seeing a wifi signal named pcwrt. Do you see it? 2. You should be able to connect to SSID pcwrt via wifi. Yes? 3. Open a browser on your PC, you should be able to load page http://pcwrt/. If that doesn’t work, try http://192.168.10.1. If all of the above works, connect to the AT&T router and things should work. If one of the above fails, please try the recovery steps outlined in http://www.pcwrt.com/forums/topic/no-login-page-at-192-168-10-1/. Please let us know how it worked and thanks for your patience. I have been working on this for hours, I can see nothing on the wireless network, I have determined that my network adapter or network card must be faulty. Just so I understand, you are seeing no WiFi at all from your PC (or whatever device you are working from), not only the pcWRT, but no other WiFi signals either (from neighbors, for example). To make sure that there’s a problem with the adapter, you might want to compare the device you are using with another device (a smart phone for example). If the other device sees WiFi, while this device doesn’t, there might be a problem with this device. I now have a working wireless, I can see the network and connect to it, I cannot bring up SSID PCwrt, I can only bring up the 2WIRE att controls. I have rebooted the router, still nothing. @hodermann Let’s try this is an isolated environment first. Take the following steps one-by-one, do not connect to AT&T router (for now). Actually, it’s better that you do this away from the AT&T router. 1. Disconnect all cables (LAN, WAN, power cord) to the router. 2. Connect the power cable ONLY and wait for the router to power up. I expect the SYS LED to be solid on. WLAN should be on too (if not, don’t worry about it for now). 3. Keep the router powered on, press the Reset button (next to the power connector) with a pin or pen tip, hold for 10 seconds. Then let go. 4. Wait for a few seconds, all LEDs should blink once (this is important, do you see it?). The router will reboot after that. 5. Wait for the router to power up, SYS and WLAN should be on. After step 5, you should be able to see the pcwrt SSID. I connected the pcWRT to AT&T 2 wire gateway. however, when I wake up my PC from sleep (such as log in at morning), sometime it shows no internet..I have to disconnect it and reconnect it again to make it work. or sometime just no internet for a while. on the same, the wifi by 2-wire route always is connected to internet. do I miss something? thanks a lot for your help! @gangwang When you have no Internet, can you log on the pcWRT console? Does the Status page show Internet up or down? Also, do you have a need to run two WiFi signals? If not, it is advisable to turn off the AT&T WiFi, because two WiFi signals might cause RF interference and degrade network performance. If you do need two WiFi signals, check that the channels don’t overlap (4 channels apart is a safe bet).